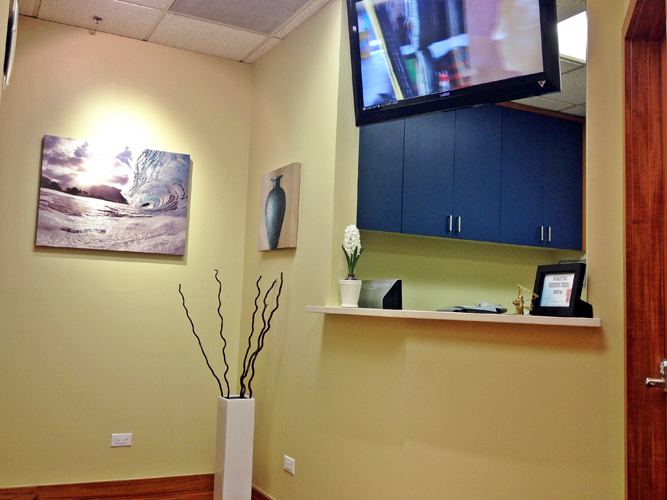 Late last year we remodeled our front office. Thank you to Edward Tang of EST Construction, our patient, who was in charge of the project. 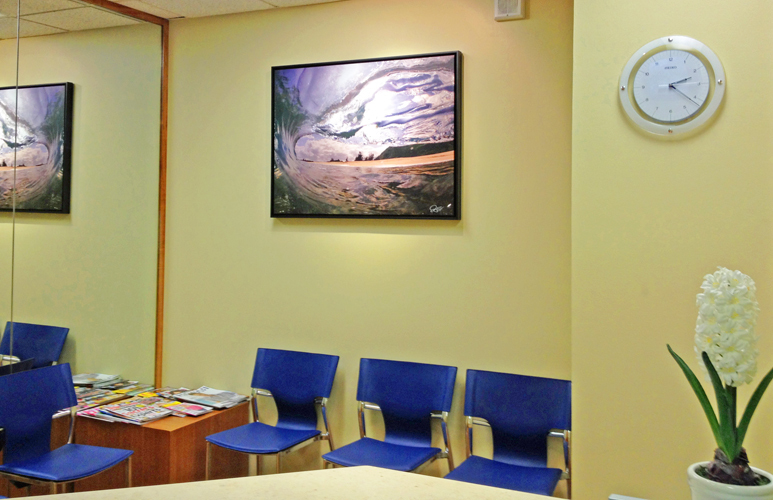 We're proud to have a more modern and bright waiting room for our patients which includes a television and artwork from another patient, Jason Enomoto. He captures beautiful water shots. More of his artwork is displayed at Gaku, a restaurant just down the street from our office. Easy to use. Just one visit!! 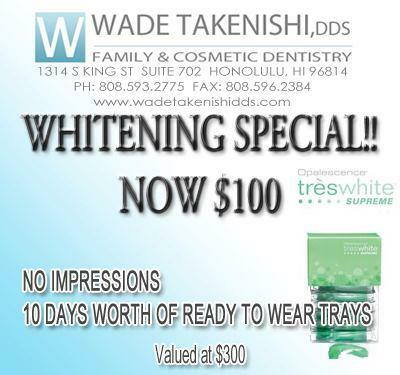 Have a Gap In Your Smile? 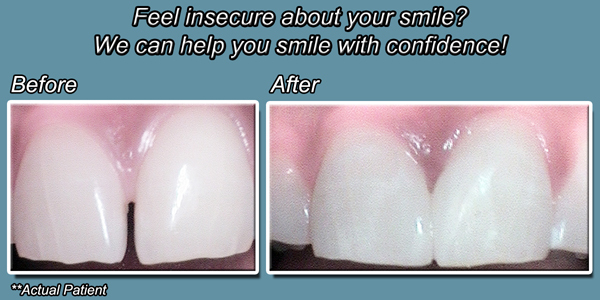 Do you feel self concious about the gap in your smile? 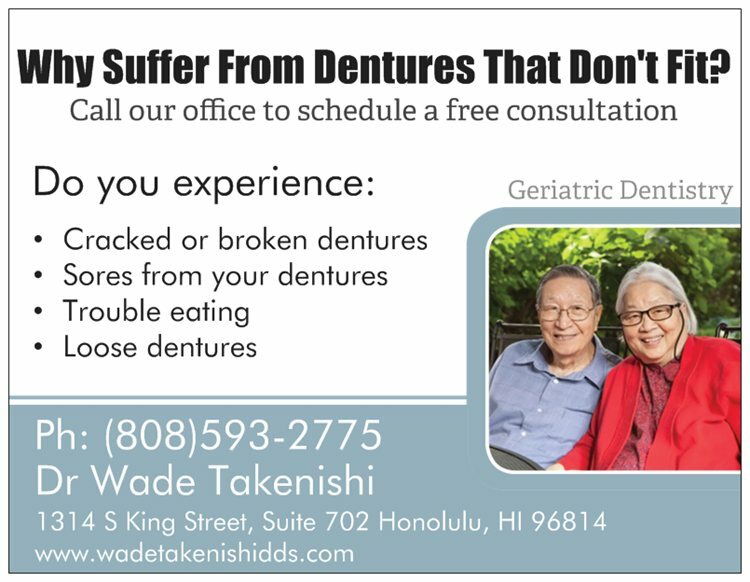 We can help you smile with confidence. Fillings can crack or break for many reasons and can be sensitive, painful, or you may feel nothing at all. It is important to repair a cracked filling because if left untreated, it could lead to a root canal or worse, losing the tooth. 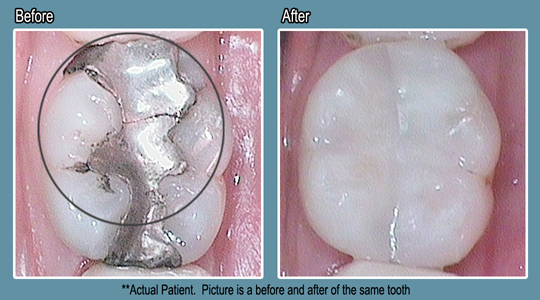 Repairing cracked fillings maintain the longevity and strength of the tooth and adjacent teeth. It also reduces the chance of surrounding teeth from also cracking. Often old fillings can be repaired with tooth color/composite fillings that bond and support the tooth or in more severe cases, a crown.